As of January 2018, Laurier students, faculty and staff will have free, unlimited access to over 5,000 video tutorials related to business, media and technology through Lynda.com, a self-service training site. "Lynda.com is an incredible asset that I hope Laurier students, faculty and staff will utilize. If we take advantage of this cross-disciplinary resource, it will undoubtedly help expand teaching and learning opportunities beyond the traditional classroom and pedagogy,” says Kathryn Carter, Laurier’s associate vice-president: Teaching and Learning. All postsecondary students in Ontario will have free access to lynda.com as part of the Government of Ontario’s Career KickStart strategy. Building on this opportunity, eCampusOntario, a not-for-profit corporation funded by the Government of Ontario, successfully negotiated with LinkedIn Learning to secure the same level of access for faculty and staff as students at publicly funded colleges and universities in Ontario. Students can get career-ready with a wide range of business and technology courses. Faculty can incorporate the website’s resources into their curricula, assigning video tutorials and training as course work. Staff members looking to advance their careers can access courses to build on existing skills or develop new ones. Lynda.com can be accessed at any time from multiple devices. Information and Communications Technologies (ICT) will work to implement single sign-on (SSO) capabilities for lynda.com, allowing Laurier users to easily access the site with their Laurier network ID and password. The anticipated completion date for SSO and launching lynda.com for the Laurier community is January 2018. More details will be shared as they become available. eCampusOntario is a not-for-profit organization whose membership is composed of all publicly funded colleges and universities in Ontario. eCampusOntario’s mandate is to promote access, collaboration and innovation in online and technology-enabled learning to enhance the student experience, support faculty development and extend Ontario’s global reputation as a leader in teaching and learning through technology. eCampusOntario is funded by the Government of Ontario. 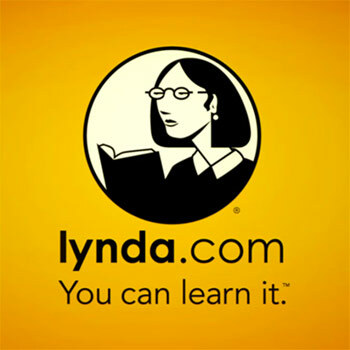 Lynda.com is an on-demand learning solution designed to help learners gain new skills and advance their careers. Lynda.com offers a customized learning experience that features instructional content relevant to the learner’s professional interests and goals. Unlimited access to more 5,000 video tutorials covering business, creative and technology topics. Personalized recommendations to explore the most in-demand skills based on their experience. To learn from industry leaders, all in one place. Convenient learning accessible from any desktop or mobile device. Helpful resources like quizzes, exercise files and coding practice windows to reinforce learning. For more information about access to Lynda.com, contact Allison Yanke, manager: ICT administration and communications, at ayanke@wlu.ca.